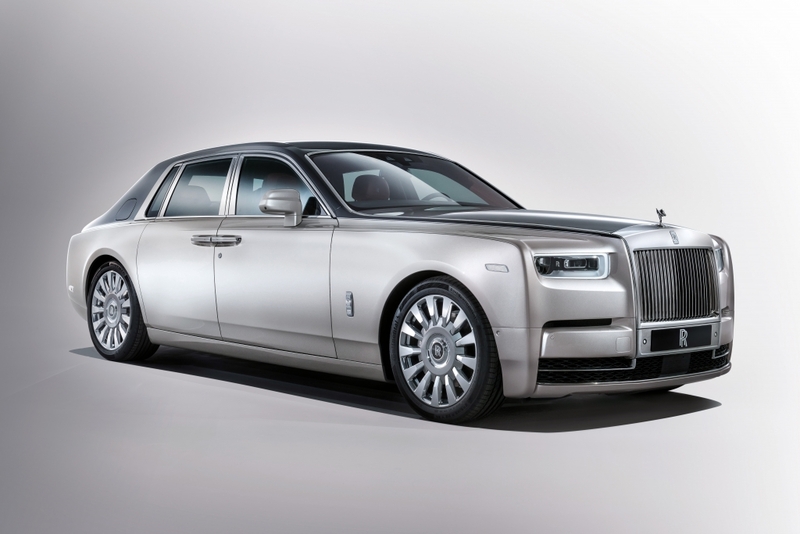 A quick skim through the new Rolls-Royce Phantom press release suggests that the quintessentially British marque has a bee in its bonnet about rival manufacturers attempting to muscle in on its luxury turf. Challengers are constantly referred to as ‘so-called luxury manufacturers’ throughout, and there are plenty of bitchy digs about ‘compromise’ and ‘sharing platforms’. 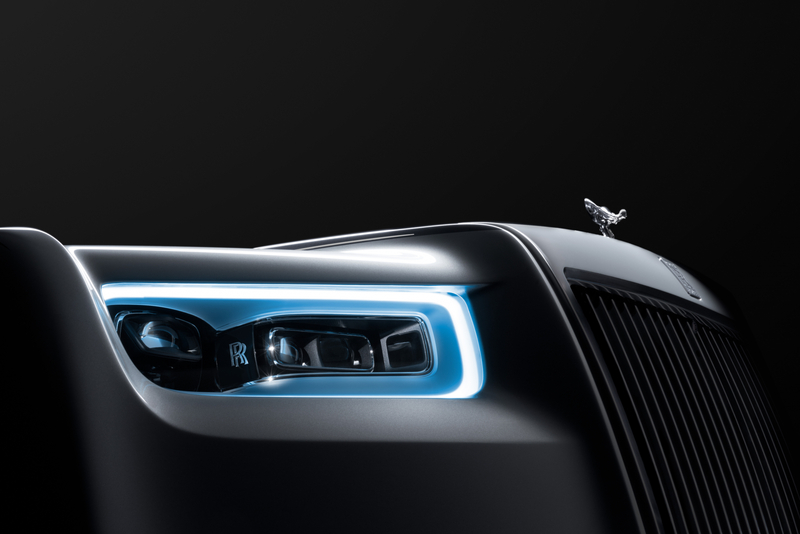 And to prove that Rolls-Royce is still the top dog in the luxury car game, it has unleashed a new Phantom that has been redesigned from the ground up to offer an unwavering sense of opulence and comfort that very few can contend with. Most manufacturers would refer to the big metal bits that make up the skeleton of a car as the boring old chassis but Rolls-Royce likes to refer to its new spaceframe and suspensions system as ‘the Architecture of Luxury’. It’s an all-new aluminium design that is said to be 30 per cent more rigid than the previous iteration’s architecture, allowing the new model to ace on ride comfort, acoustic comfort, seat comfort, exterior presence and interior space. In addition to this, R-R has improved its all-conquering air suspension and chassis control systems, which have been designed to deliver an even more comfortable and wafting driving experience. The changes include a new double-wishbone front axle and 5-link rear axle and an overhaul of the Magic Carpet Ride suspension system, so it now includes a stereo camera system that’s integrated in the windscreen to see the road ahead, adjusting suspension proactively rather than reactively at speeds of up to 62mph. 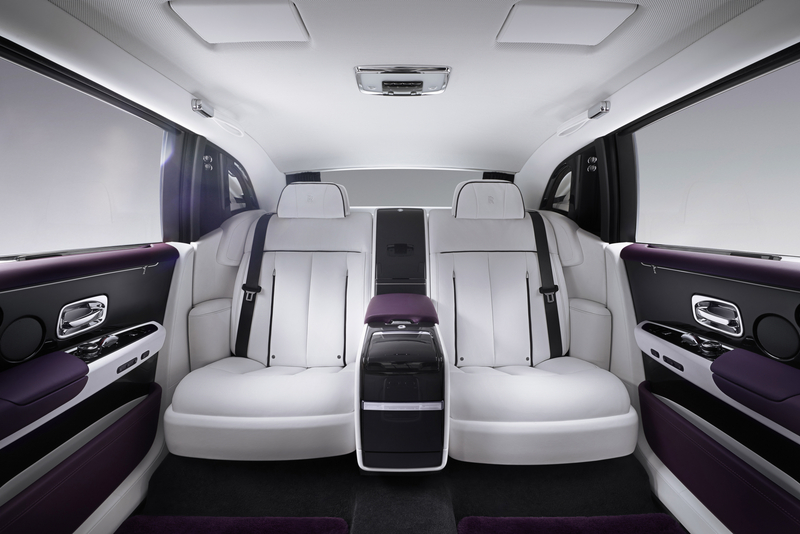 Anyone who has been lucky enough to ride in a Rolls-Royce will attest to the seemingly paranormal levels of quiet, comfort and refinement. 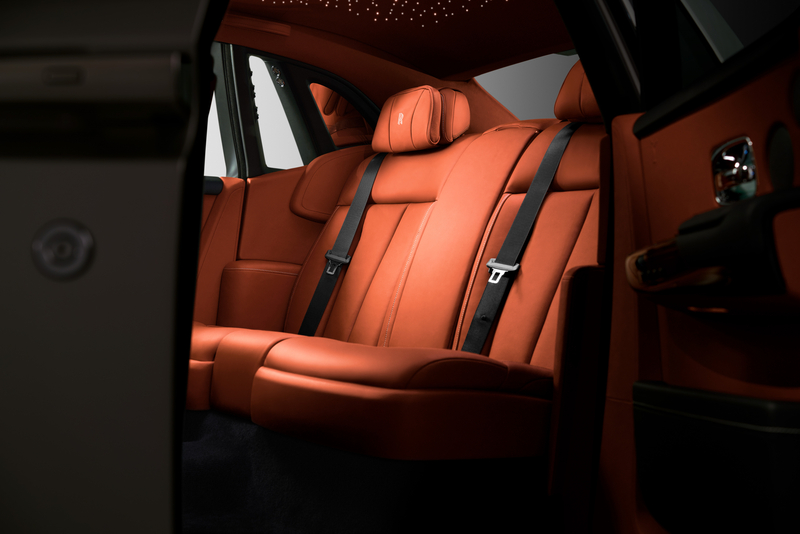 It’s as if passengers have stepped into another world when sealed inside the sleek frame of a Wraith or Ghost. 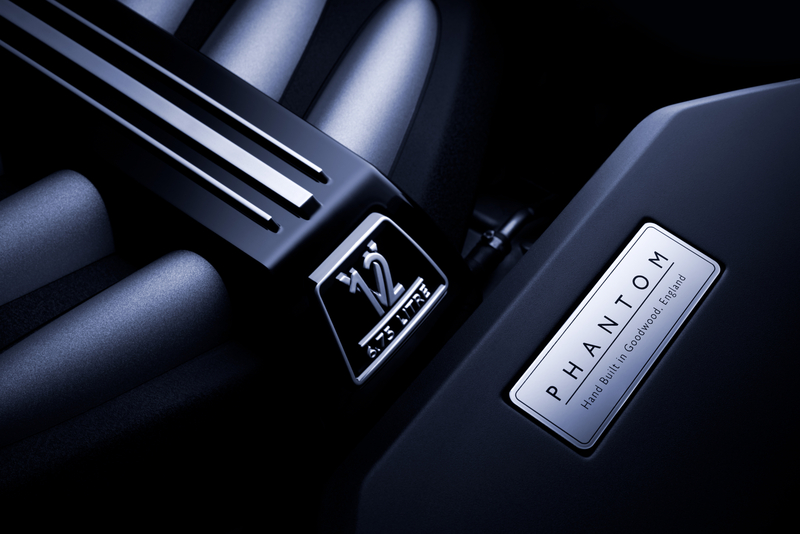 New Phantom goes one step further by adding 6mm two-layer glazing all around the car, more than 130kg of sound insulation, the largest ever cast aluminium joints in the barebones frame for better sound insulation, and extensive use of high absorption materials. The headliner, doors and boot cavity receive additional sound insulation, while even the tyres feature a special foam layer that’s placed inside the rubber to reduce overall tyre noise by 9db. According to Rolls-Royce, when its acoustic test engineer first reviewed results from road and vibration tests, the sound levels were so low they had to check their instruments were calibrated correctly. Thankfully, emissions regulations and government announcements haven’t seen the demise of the inimitable 6.75 V12 engine but in the interest of progress, Rolls-Royce has bolted on two turbochargers. Apparently, this was done to create more low-end power at low revs to keep the big powerplant from making too much noise and the result is a low-end torque figure of 900Nm at just 1,700rpm and a stonking 563bhp. This power is driven through the familiar ZF 8-Speed gearbox, which uses a satellite feed to read the road ahead and ensure the vehicle is in the correct gear to tackle the upcoming topography with minimal fuss and hullabaloo. Despite being pitched at Ultra High Net Worth Individuals (you need £25m to be part of that club), the average age of a Rolls-Royce owner is now a sprightly 45-years old, compared to 56 seven years ago. As such, the engineers and designers have added plenty of contemporary tech to appease the smartphone generation. In fact, the Electronic Architecture of the new Phantom is the largest ever component produced by the BMW Group, let alone Rolls-Royce. This newfound processing power means some impressive advances could be added to the overall package, including: Alertness Assistant, a four-camera system with Panoramic View, all-round visibility (including what Rolls-Royce calls a ‘helicopter view’), Night Vision and Vision Assist, Active Cruise Control, an industry leading 7×3 high-resolution head-up display, Wi-Fi hotspot, and of course, the latest navigation and entertainment systems. 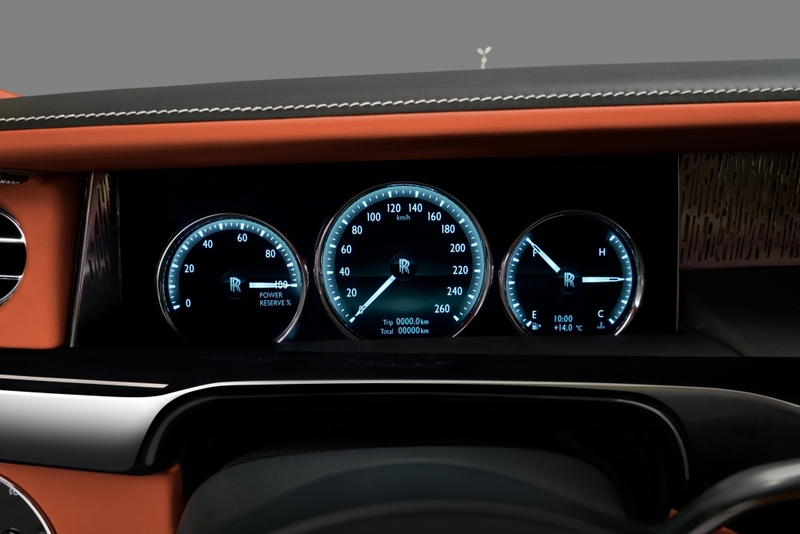 Even traditional analogue instrument binnacles have been replaced by a 12.3 inch TFT colour display with LED backlighting but the manufacturer claims this will never get in the way of it traditional, hand-crafted approach to interiors. It appears that where other manufactures are attempting to protect the bottom line with cost-saving measures, Rolls-Royce is doing completely the opposite. 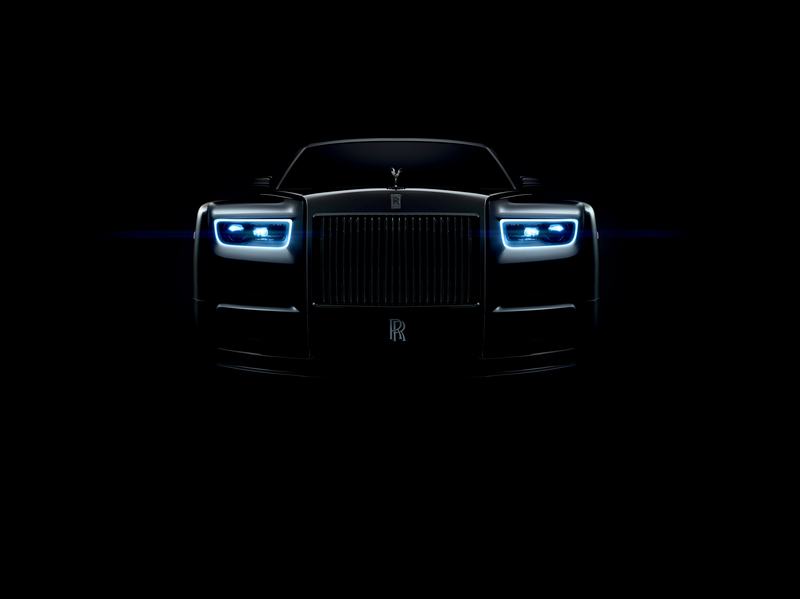 “This realisation was a moment of clarity about the destiny of Rolls-Royce,” says Torsten Müller-Ötvös, Chief Executive Officer of Rolls-Royce Motor Cars.